The most powerful Honda Civic sedan on sale, the Honda Civic Si sedan also offers an appropriately sporty to complement the potent engine. Said power comes from a 205-hp 1.5-liter turbocharged four-cylinder gasoline engine, complemented by a six-speed manual transmission. Though the outputs aren’t groundbreaking by class standards, the Honda Civic Si comfortably compensates and more by being spacious, well-equipped, very safe and sensational fun to drive. In summary, the Honda Civic Si sedan is a terrific all-round daily driver that anyone interesting in owning a sporty compact family sedan should definitely have shortlisted. 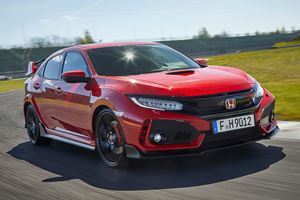 The Honda Civic Type-R hot hatch may be attracting all the attention, but that doesn’t mean the Honda Civic Si deserves to be overshadowed. On the contrary, the Honda Civic Si sedan is a stellar all-round compact performance sedan that takes all the great attributes of the base car and wraps them up in a sportier, even-more-enjoyable-to-drive package. Power is admittedly a bit lacking when compared with rivals, admittedly, as is the trunk, but the Honda Civic Si’s stellar driving dynamics, cabin practicality, equipment levels and safety ratings easily make up that lost ground. Compact sports sedan buyers who side-line the Honda Civic Si will be doing themselves a great disservice. Though we’d prefer the cabin to have been upgraded with sportier trim elements over the base Honda Civic, the Honda Civic Si doesn’t disappoint interior-wise. Overall cabin construction is excellent, with the high-quality materials endowing the interior with an ambience deserving of a $23,000+ car – though it’s a shame the infotainment system is a bit clunky at times. Space is abundant for passengers, with plenty of head and leg room for adults, and the front seats are very comfy and supportive. Though trunk space isn’t as impressive as the Civic hatch’s, the Civic Si does offer a usable 14.7 cubic feet capacity. Being a sporty car, the Honda Civic Si is unsurprisingly a hoot to drive. A combination of good grip levels and direct steering responses means it’s easy to place the car confidently and accurately on the road, and body lean when cornering is well suppressed by segment standards. Plus, the light clutch helps make stop/start city commuting that bit easier. Noise insulation levels aren’t class-leading, but there’s enough sound deadening to make the Honda Civic Si a fairly subdued highway cruiser. Forward visibility is great, thanks in part to the expansive windshield, though the thick pillars do generate rear and over-the-shoulder blind spots. The Honda Civic Type-R hot hatch may be comfortably more powerful, but the Honda Civic SI still has lots of pace to call upon. A 205-horsepowr 1.5-liter turbocharged four-cylinder gasoline engine provides lots of straight-line performance, and the broad 192 lb-ft of torque spread means overtaking moves on highways can be completed promptly. Granted, many hot hatch rivals do surpass the Honda Civic Si’s power outputs, but what the Honda produces is plenty for everyday driving. 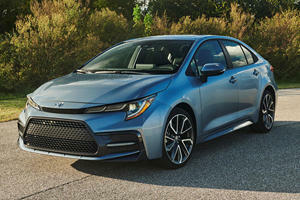 Fuel economy, however, is very good for a compact sports sedan, with claims of 28mpg in the city and 38mpg on the highway. The only transmission available is a six-speed manual, but – being a Honda gearbox – it’s a very easy and intuitive one to operate. Very well specified, with a stellar safety rating to boot. 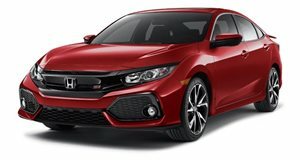 The standard Honda Civic is very well equipped for the money, so it’s no surprise the Honda Civic Si maintains that trend. Dual-zone climate control, heated front seats, lane departure warning, cruise control, a multi-view reversing camera and compatibility with Apple CarPlay and Android Auto are standard equipment, with the only optional extra we feel is worth going for is the $305 wireless phone charging system. As a result of the strong equipment levels (and especially safety kit), the Honda Civic Si sedan has a very good safety rating, having been awarded the full five stars in its most recent NHTSA crash test. More than just a more affordable Type-R alternative, the Honda Civic Si is a great all-round compact sports sedan that offers a finely-judged blend of dynamism and day-to-day usability. If you’re after a well-rounded and sporty smaller car, you should definitely be considering the Honda Civic Si. 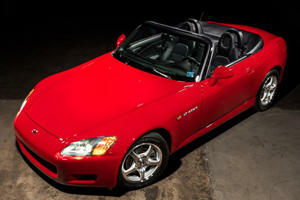 How Much Would You Pay For A Brand New Honda S2000?